Presentation skills coaching can help you through one of the most terrifying experiences in life. 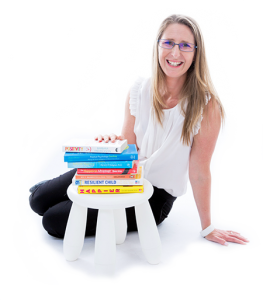 Jodie has been speaking publicly for over twelve years and has done extensive training in the field and is passionate about helping others share their ideas and knowledge. 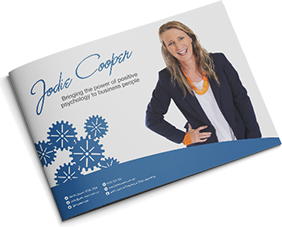 Jodie offers presentation skills coaching and public speaking training privately, as may people learn best in a one on one environment. To focus on your presentation and public speaking skills, Jodie offers a two-hour private session to help develop your ideas and stories and polish your presentation to ensure it engages your audience. In this coaching session, you will go over every nuance of your presentation, ensuring it’s powerful, convincing and moving for your audience. Whether you’re delivering to the board, pitching a new idea or you’re the best man at a wedding, you’ll step into the presentation with confidence, and articulate your message clearly and effectively. 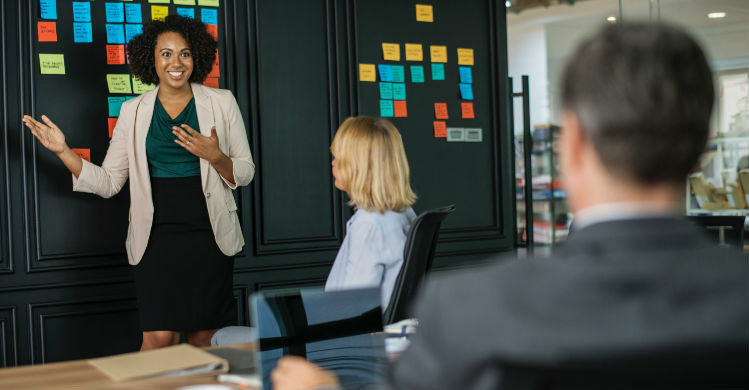 Presenting well, can be a challenge, but with the right presentation skills coaching, it can become a turning point in your career, giving you the ability to voice your ideas and become a thought leader in your industry. Get in touch with Jodie to take the first step to developing your speaking skills and improving your confidence.